The Honolulu City Council Honored John Hughes with an Honorary Certificate of Appreciation for his US Marine Corps service in WW-II and Korea and for his personal heroism on December 7, 1941, where he is seen in a famous photograph firing a 1903 Springfield rifle at attacking Japanese dive bombers during the attack on Ewa Field. On the fateful early morning of December 7, 1941, U.S. Marine Corps Sergeant John Hughes was ready for a quiet Sunday when he looked up to see approaching planes heading straight for the Ewa Mooring Mast Field, home of Marine Air Group 21. As the planes got close they opened fire and Hughes saw the red ball insignia that immediately told him they were Japanese aircraft, and he quickly headed to the armory for a rifle and ammunition. 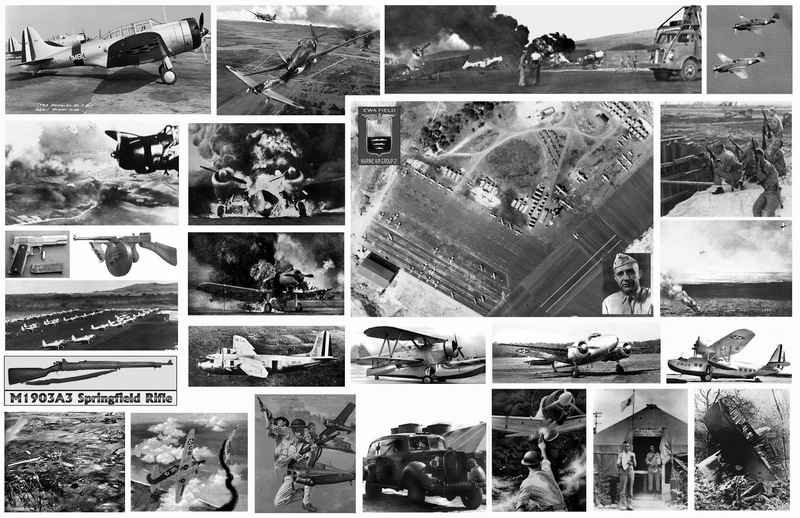 During the attacks on the airfield, most of the Marine aircraft were destroyed by Japanese attackers with four Marines killed and numerous more wounded. One of the most famous photos taken during the entire Imperial Japanese air attack on Oahu is of Sergeant John Hughes firing his 1903 Springfield bolt action rifle at attacking Japanese planes. 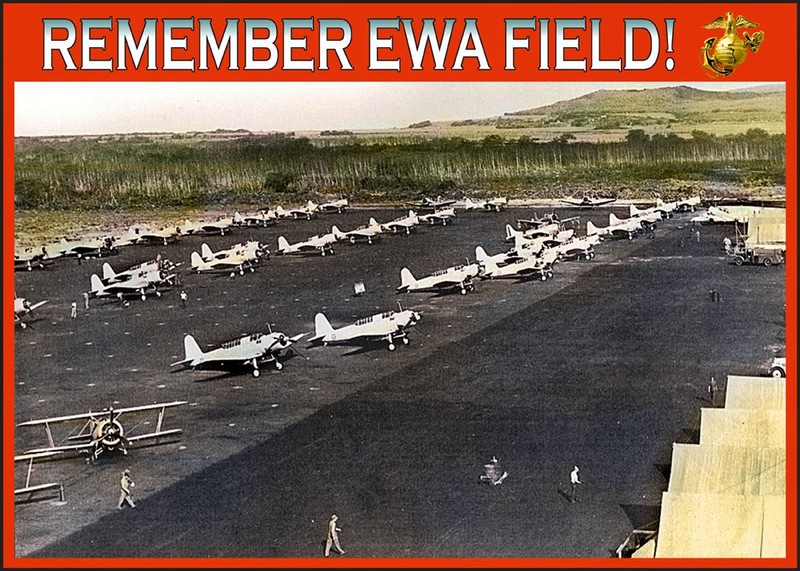 This indelible image has become the iconic symbol of Ewa Field on December 7th. John A. Hughes was born February 6, 1919 in Rivera, CA and raised in San Fernando Valley. 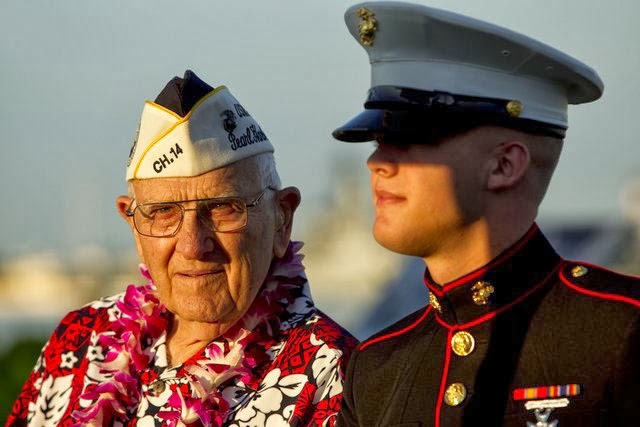 A graduate of San Fernando High School in 1937, in May, 1938 he enlisted in the U.S. Marine Corps in San Diego, CA. After boot camp he was transferred to Marine Aviation at North Island, San Diego, as an Aircraft Engine Overhaul Mechanic. 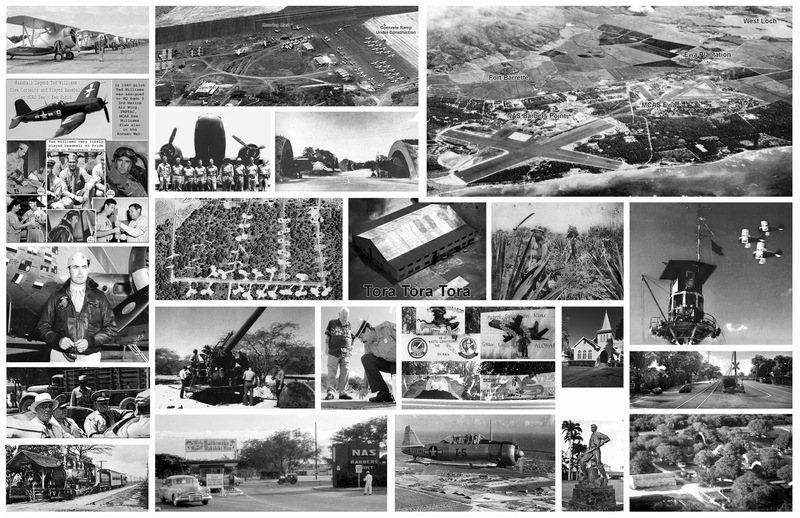 In January 1941, Marine Air Group 21 sailed to Hawaii, and located at former Navy Mooring Mast Field, Ewa, Oahu. Marines built a tent camp for about 600 personnel after clearing hundreds of large sisal plants from a rough ancient coral reef landscape. They lived in tents until October when a Naval Construction Battalion built Quonset huts. MAG-21 operated during this time without major events until December 7, 1941. Four fellow Marines were killed, 33 airplanes destroyed, 14 damaged. In February 1942, while at Ford Island helping repair aircraft damaged on a raid to the Marshall Gilberts, John Hughes received orders to Pensacola, Florida for flight training which he completed in December of that year. Transferred to Mojave, California, in March 1943 he was ordered to Espirito Santo, Southern Pacific, where he was assigned to VMSB 132 as a dive bomber pilot. In June 1943 to April 1944 he participated in combat dive bombing missions in New Georgia, Bougainville, New Britain Campaigns, and in November 1944 was transferred to the Solomon Islands for assignment to VMSB 243 at Luzon, Philippine Islands where he was engaged in the Northern Luzon and Southern Mindanao Campaigns doing close air support for Army Troops. On September 1, 1945, the Pacific War was over and he returned to the “states”, at El Toro, California. In November 1946 John Hughes married Mary Duba from Libertyville, Illinois, and in was then transferred to a squadron in China for observation and transport missions. In August 1948 he returned to a much larger MCAS Ewa Field as a Material Officer. 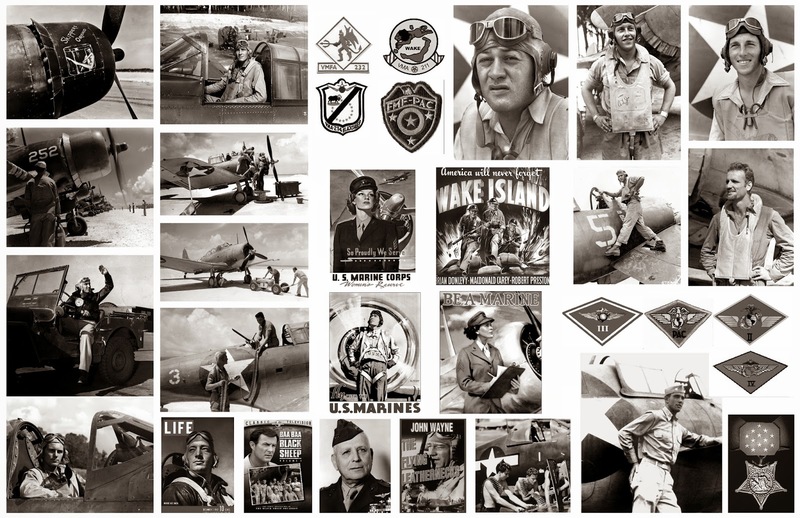 In January 1949 he was assigned to Cherry Point, NC, and flew F4U Corsairs and the F2H Banshee jet aircraft. In November 1951, John Hughes attended helicopter school, in Quantico Virginia and in May 1952 was sent to Korea, assigned to VMO 6 performing helicopter medical evacuation missions before being transferred back in March 1953 to El Toro, Ca. In January 1954 to May 1954 he served aboard the USS Bairoko during Bikini atoll H-bomb tests and then in September, 1956 to September, 1960 he was stationed at the Bureau of Aeronautics, Washington, D.C. as the Head, Rotary Wing Section Maintenance Division. In October 1960, he transferred to the MCAS in Okinawa, as an Airfield Operations Officer. His final tour was back to El Toro, CA for helicopter duty during December 1961 to June 1964 before retiring from the U.S. Marine Corps. Completing 150 Missions, Major John Hughes was awarded the Distinguished Flying Cross, Air Medal, Letter of Commendation, Good Conduct Medal, American Defense, China Service, Asiatic Pacific Campaign, American Campaign, Victory WWII, Philippine Liberation, Korean Service, United Nations Korean Service, National Defense, Distinguished Pistol Shot, Distinguished Rifleman, Presidential Unit Citation, Navy Unit Citation. We proudly and gratefully honor the historic and courageous service of John A. Hughes to our islands and to our nation.